Land art competition launched to celebrate 100 days to go! 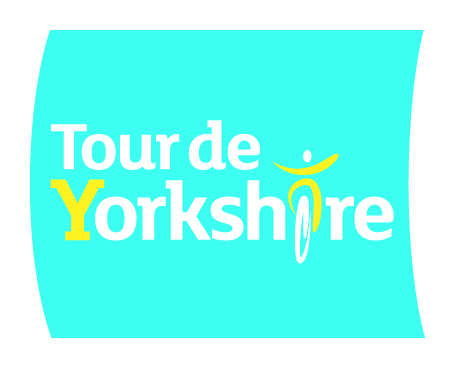 To celebrate 100 days to go until the start of the 2017 Tour de Yorkshire, Welcome to Yorkshire has launched its annual land art competition and is now on the hunt for the county’s best installations. Last year’s competition proved a huge success with massive, eye-catching pieces being displayed right along the race route, and businesses, landowners, farmers, schools and community groups are being encouraged to get creative once again. Whether it’s a church spire draped in a blue jersey, a field housing a mammoth bicycle, or a market square spelling out messages of support, all works are welcomed and stand a great chance of being beamed to over 11 million people in 178 countries when the race’s live television helicopters sweep across the county. Last year a giant piece of art featuring a horse, ram and wild boar riding a penny farthing on Sutton Bank – commissioned by the North York Moors National Park Authority and Hambleton District Council – was crowned the winner after an international public vote, and the coveted trophy is now up for grabs once again. “Yorkshire’s land art has attracted a lot of attention in the past, with people creating everything from multi-coloured sheep and spotty houses, to huge murals and striking street art. Send in plans, pictures and designs, and include information about what inspired the piece, how it will be made and where will it be. This will then be shared with TV producers before the race in the hope of catching the cameras. Welcome to Yorkshire will shortlist the 12 best land art pieces over the three days of action. The shortlisted entries will then be put to a public vote and one lucky winner will receive our coveted land art trophy! Position it as close to the race route as possible. Make it as large and as striking as possible so the television helicopters can see it. Land art doesn’t need to be bicycle or tour related, it’s about celebrating communities and getting people talking. Think about what’s connected to a community – a famous face, an event – what makes it special? Land art shouldn’t be commercial (a company logo for example) but you may wish to celebrate a specific industry – for example, big pints of beer for breweries? A mouse and cheese for cheesemongers/creameries? Get permission to work on the land you intend to use. Please check with local landowners and ensure the local community is happy with plans. This entry was posted in Arts and culture, Events, Tour de Yorkshire. Bookmark the permalink.